Customized runner shape aluminum bottle opener with split key ring and carabineer allows you to wrap a marathon (of niche competition) with flying colors. It makes a beeline with its typical figurine highlighting a running man. Perfect choice for popping bottles and securing key. People would be happier to retain it over their backpacks or bags through carabiner. Marketers can be confident that their brand credentials are going to shine brighter than ever. 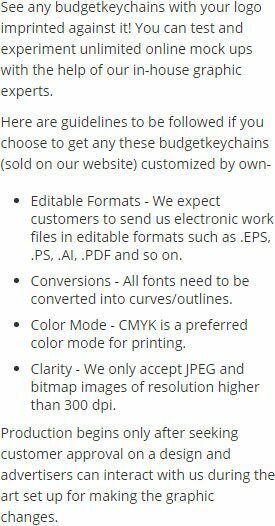 It can be availed for exciting discount prices on bulk ordering. 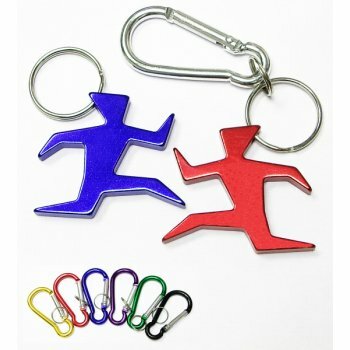 Request a quote to know wholesale discounts on custom runner shape aluminum bottle opener with split key ring & carabiner. Features – Runner shape aluminum bottle opener with split key ring and carabiner. Solid aluminum construction. Product Size – 1 7/8" x 1 3/4"
Available colors – Metallic Black, Metallic Gold, Metallic Blue, Metallic Purple, Metallic Green, Metallic Silver, and Metallic Red. Product Size :1 7/8" x 1 3/4"